A Prenatal Yoga Instructor, Birth Doula, Reiki Healer, former Professional Dancer and graduate student of Acupuncture and Chinese herbal medicine. Jessica has been in motion her entire life and found a respite in her yoga practice over 15 years ago. Jessica moved to NYC in 2004. She lives in Brooklyn with her loving and supportive husband, a house panther, a wild dingo and 43 plants. A Pre & Postnatal Nutrition Specialist, Women's Health Coach, Personal Trainer and certified Pre/Postnatal Corrective Exercise Specialist and Diastasis and Core Consultant. Carolyn is passionate about helping women have healthy and happy pregnancies and smooth transitions into motherhood. Carolyn grew up in Boston and moved to NYC in 2008. She currently lives in Brooklyn with her husband and her sons Charlie and Max. A Pre/Postnatal Corrective Exercise Specialist, Diastasis and Core Consultant, Birth Doula and Childbirth Educator. Maddy is passionate about body education and self love. Her Mantra: Your Pregnancy is a Wellness, Your body is wise, Trust yourself. Maddy was born and raised in Oregon and moved to NYC in 2016. She has been a dedicated Birth & Body worker since 2010. Amanda moved to NYC to pursue her dance career and performed with the Radio City Rockettes for 10 years. She has continued her passion for movement, and connecting to people as her fitness career has grown. Amanda is a Certified Personal Trainer, Holistic Health Coach and a Pre/Postnatal Corrective Exercise and Core Rehab Specialist. She is passionate about empowering women to connect to their bodies; setting them up not only for healthy and strong pregnancies but also for living their best life. Expect Amanda’s classes to be energetic and challenging driven by great music and the occasional 90s throwback playlist! 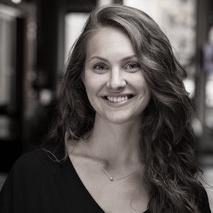 A Pre/postnatal Pilates specialist, classically trained Pilates instructor & Teacher Trainer, and Teaching Artist (dance) in NYC public schools. Heather has been a lifelong mover and shaker, and developed a passion for working with expecting & postpartum moms to help them feel strong. She was also an FPC client herself through her second pregnancy. Heather was born and raised in Queens. She lives in Brooklyn with her husband and two sons. Jenny Hoofnagle, Comprehensively Certified Classical Pilates Instructor, Pre/Postnatal Corrective Exercise Specialist and Diastasis and Core Consultant. Actress, singer, entrepreneur and fitness enthusiast. 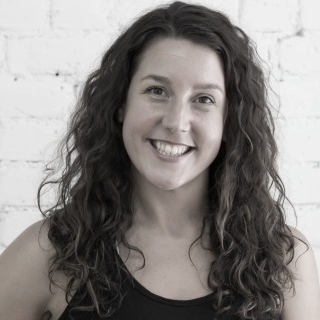 Jenny is passionate about women’s health and empowering women through movement. Jenny is originally from Texas and has lived in New York since 2004 when she attended NYU’s Tisch School of the Arts. You can expect her class to be technical, encouraging and fun! A Pre & Postnatal Corrective Exercise Specialist, Personal Trainer, and newly-minted Doula. Jamie has always had a love of movement and music - dancing since she could walk and being a fitness enthusiast all her life. After suffering a variety of pregnancy issues and postpartum depression, Jamie became passionate about helping other women stay strong throughout their pre/postnatal journey. Jamie grew up in the Finger Lakes and moved to New York in 2010. She currently lives in Harlem with her husband and her two little boys, Malcolm and Griffin. A doctor of physical therapy specializing in women’s health, runners and athletes. Alicia is passionate about educating women about how to take care of their bodies and avoid injury during pregnancy and into postpartum. She is an exercise enthusiast with a love of movement. Alicia moved to NYC in 2012 to attend Columbia University for her DPT. She currently lives in Jersey City with her boyfriend and pup.